I had bought some brown rice pasta at Trader Joe’s awhile back, so I used those in place of egg noodles to add some whole grains. 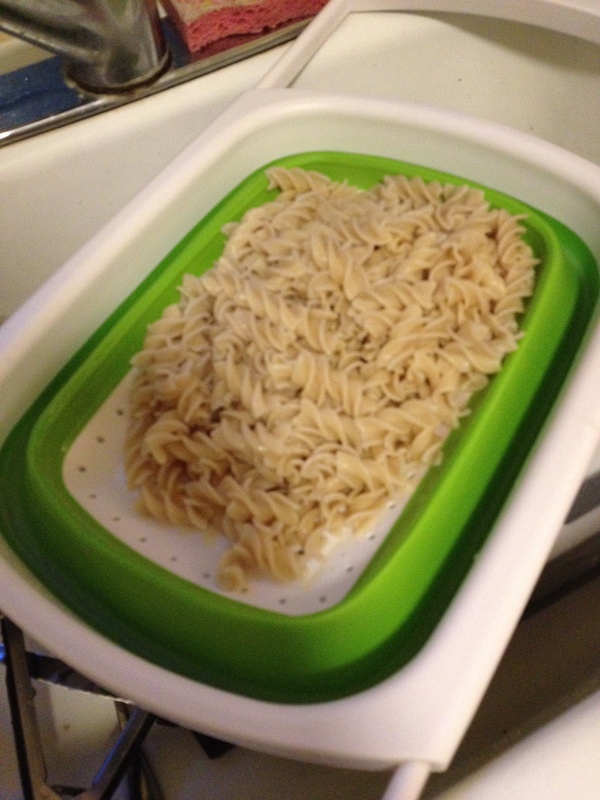 They tasted just like regular pasta, and I liked that the only ingredients in the noodles were brown rice and water; can’t get much more natural than that! And while I don’t eat gluten free, these noodles are, so that is a great advantage to them as well! In place of sour cream, I used fat-free plain Greek yogurt, which was a fantastic substitute; it tastes just like sour cream without the fat, as well as adding protein to make it more filling. 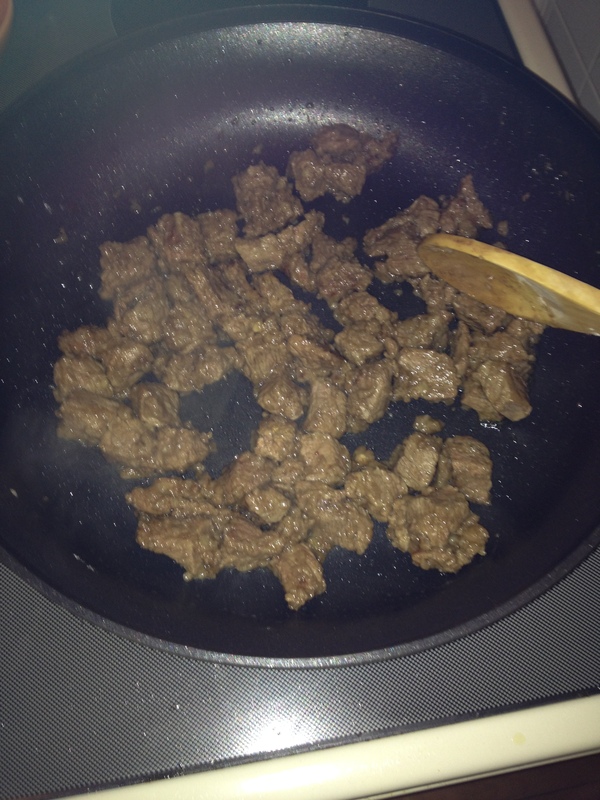 And finally, in place of margarine, I pan-fried the beef in olive oil to add some heart-healthy fat. I did keep the white flour to coat the beef, because I felt like the sauce wouldn’t thicken if I didn’t, but you could substitute whole wheat flour to boost the whole grain benefits (I didn’t simply because I didn’t have any). Without further ado, here is the recipe…it does require some multi-tasking, but it is a pretty easy recipe and doesn’t take too long to whip up. Enjoy! 1.) Fill a large sauce pan with water and heat to a boil. Add whole package of noodles and cook until desired doneness. 2.) 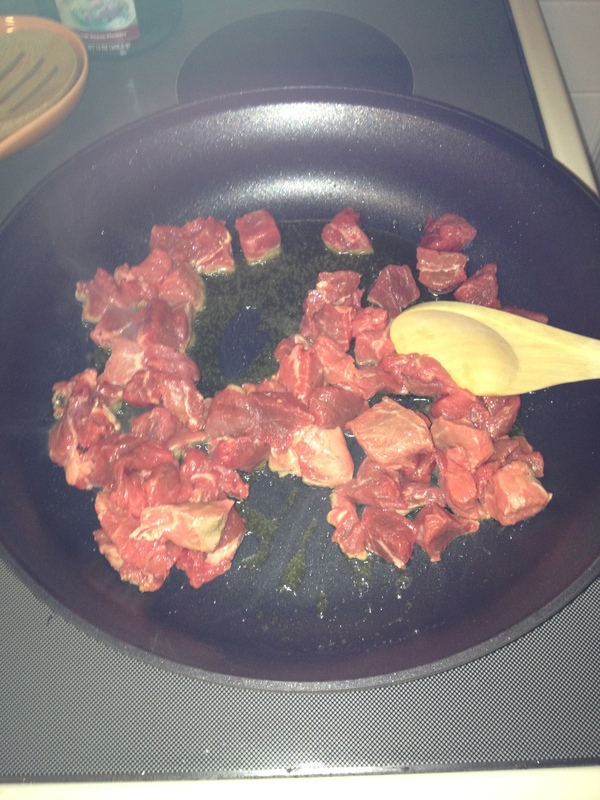 While noodles are cooking, cut stew beef into smaller pieces. 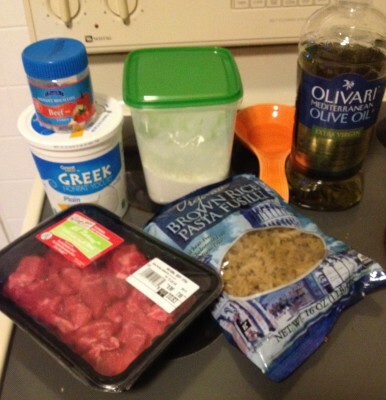 Heat olive oil in a large skillet over medium high heat, then add beef. Reduce heat to medium and cook until brown. 3.) 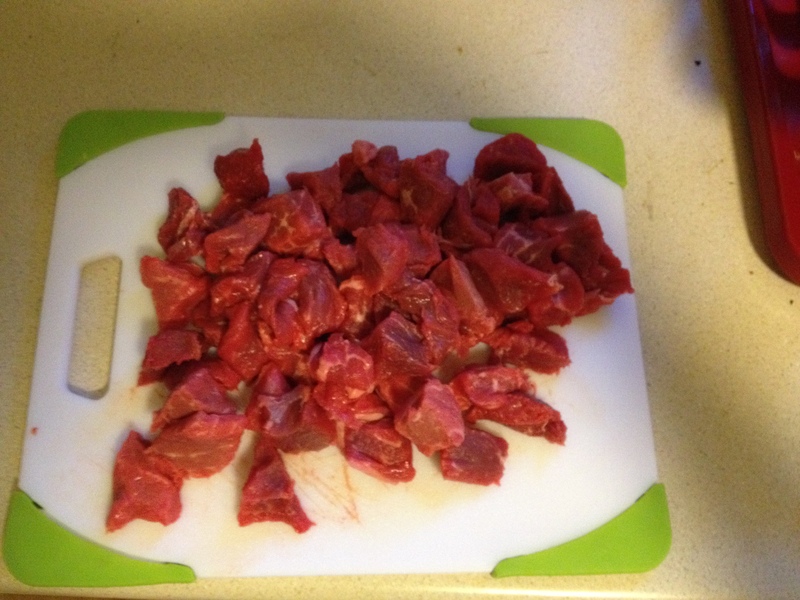 While beef is cooking, fill a large bowl or measuring cup with 24 oz. water. 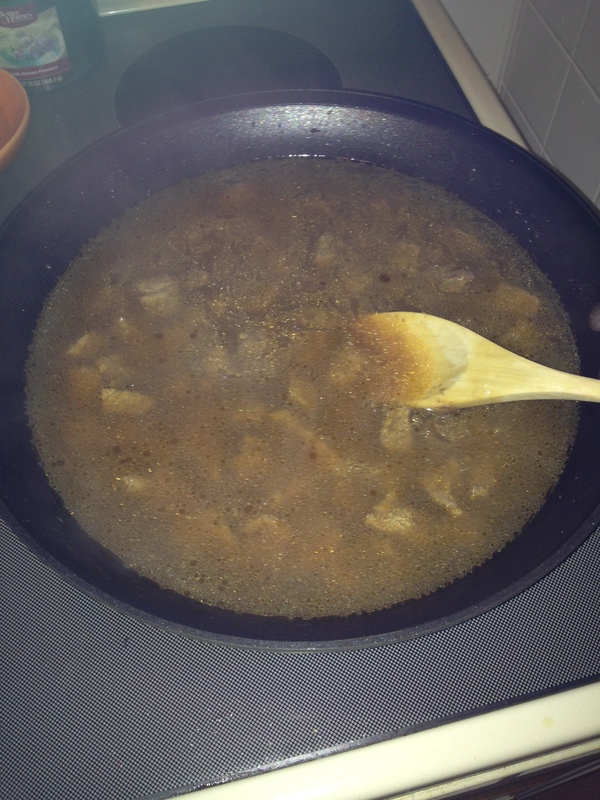 Heat to a boil in the microwave, then add 3 beef bouillon cubes. Stir well and heat for another minute in the microwave. 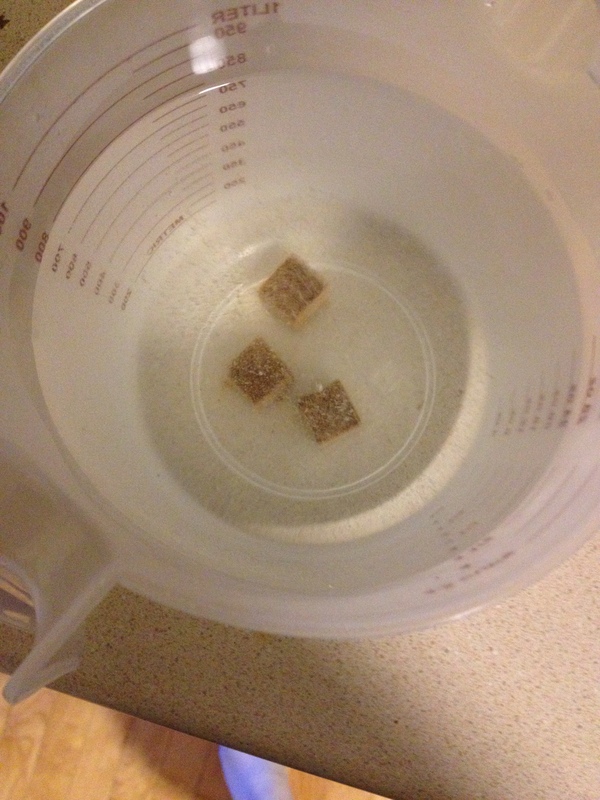 Then keep stirring until the cubes are dissolved (you may need to crush them a bit with a fork to speed this up). 4.) 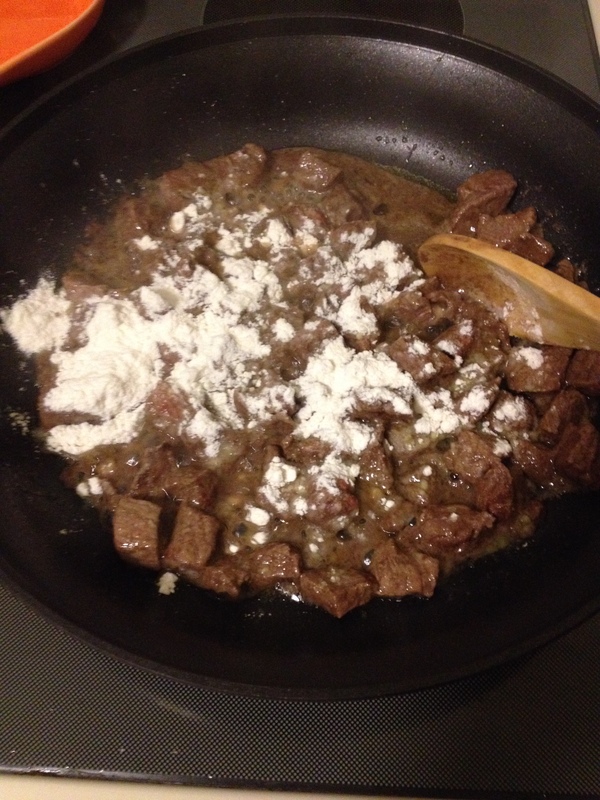 Once beef is browned, add flour and cook until coated. 5.) Add in the beef bouillon and heat until bubbly. 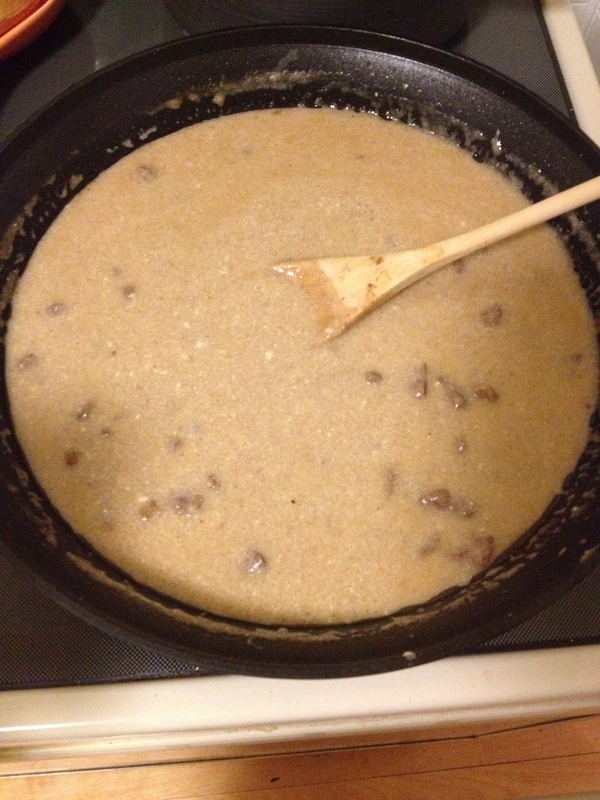 Add in extra flour to thicken if it is too watery. Then turn off heat and stir in Greek yogurt. 6.) Pour sauce over noodles and add salt and pepper, if desired. Enjoy! *I have made this with chicken before and it is also delicious, if you don’t eat red meat! *The sauce is awesome by itself if you wanted to make it meatless, or replace the meat with mushrooms!